Accused Of A Crime in Tampa? If the police ask for permission to search you or your property, they probably need it. If they had a warrant, they would not ask. It’s always best to protect your right to privacy against government intrusion and review it with a lawyer. Serious legal problems require serious attorneys. At Hillsborough Defense, we represent good people who have been accused of crimes throughout the Tampa Bay area. We pursue injury and wrongful death claims on behalf of clients and their families who have been impacted by the negligence of others. Our firm defends the assets and parental rights of individuals going through the emotional divorce process. Every client we represent expects the best result possible and that is exactly what we intend to achieve. Every day. Free Consultation from Hillsborough Defense, P.A. Driving under the influence (DUI) is a severe crime in Florida with punishments ranging from fines and suspension to jail time with permanent revocation of your driving license. The Tampa DUI lawyer you choose will determine which side of the punishment spectrum you will end up on. If you are faced with a drunk driving charge in Tampa FL, you want to hire a law firm that will provide you the best chance to protect your freedom. Legal cases aren’t always as straightforward as they seem at first glance. A criminal defense legal expert will notice details you might have missed. When it comes to being charged with DUI criminal charges, even little details can help you achieve a more favorable outcome in your trial. It’s important to get a professional lawyer’s opinion on your case before you make any decisions. If you are looking for affordable legal representation, a free consultation can bring you closer to a better outcome of your case, and help you understand how much you will benefit from a DUI defense attorney’s services. Going to trial with a lawyer is better than without one, and the only consideration here is how much it will cost. This refers not only to the total dollars spent, but also taking into account the loss a drivers license which can impact your job. Criminal defense attorneys who have experience defending DUI cases will require a higher fee, but they will also bring more to the table. Their expertise might contribute to a quicker resolution of your case, such as making a deal without trial. A criminal defense lawyer who worked as a former prosecutor, is familiar with the police department, who is well versed in pretrial motions, breath testing, reliability of a blood test, and drug crimes, may charge a bit more, but your chances of have charges dropped will be worth the money. Affordable legal fees are one thing, your freedom is another. Even the best lawyer won’t be able to help you if you plead guilty to your DUI charges. Don’t give up on your case ahead of time and give it a lot of thought before making any decisions. Even though pleading guilty is a likely outcome of typical DUI cases, don’t let it take your attention away from the facts of the case. Unless your blood alcohol content BAC was detected to be well above .08 (usually .11 or more) or law enforcement officers on the scene obtained indisputable evidence that you were drunk, your DUI case has a fighting chance. The less damning the circumstances, the more options you will have. A DUI defense attorney will help you explore those options and choose the best one you have without being influenced by pressure from the prosecution or other parties. A DUI lawyer in Tampa should explain the entire process to you before pleaing guilty to driving under the influence of alcohol. You want to learn about a formal review hearing, a hardship license, administrative suspension, an ignition interlock device, a diversion program, DUI schools, and how a DUI arrest is different than a DUI conviction in Florida. If you are involved in a car accident that causes personal injury and results in criminal charges, a fast plea could potentially be a felony on your criminal record. Florida residents charged with DUI and DWI involving motor vehicles may face more than FL DUI. Some Tampa DUI attorneys are experts in driving under the influence cases, while other defense attorneys will spend their time representing clients on white collar crimes and are more likely to have their clients reach a plea agreement. Be sure you understand the DUI penalties you will face in Hillsborough County Fl. Inconclusive BAC tests and acceptable behavior on the road will provide grounds for a lesser sentence or a plea bargain. In these cases, a lawyer can compel the prosecution to drop the DUI charges in favor of lesser offenses, such as reckless driving. Even if there was no actual reckless driving taking place, legally speaking the prosecution will argue that the alcohol content in your blood was already endangering other drivers on the road. 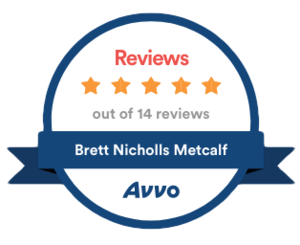 This is why hiring a Tampa DUI lawyer with a high AVVO rating and a strong record of success in criminal law will provide you with your best chance of success in a court of law. If a law enforcement officer pulls your over and you refused to submit to a BAC test or field sobriety test, you may find the criminal charges to be much more severe. Expect your legal fees for driving under the influence to be higher, and your chances of charges dropped to be significantly less. If you have been arrested for Tampa FL DUI, contact Hillsborough Defense, P.A. at your earliest conveneince and schedule a meeting at the attorneys office immediately. After becoming a member of the Florida Bar, Brett Metcalf devoted his practice to DUI law. He is a proud member of the Florida association of criminal defense and spends his days defending his clients charged with driving under the influence charges. He is experienced in jury trials and has defended clients from the University of Florida, in Hillsborough, Pinellas County, Pasco County, Tampa Bay, Wesley Chapel, Port Richey and St Petersburg. Hire a Tampa criminal defense lawyer that will give you the best chance at reducing your sentence, or helping you win in a court of call. Mr. Metcalf and his staff are very knowledgeable, friendly and on top of things. In the midst of my confusion and thoughts of the worst possible outcome, Mr Metcalf took charge and handled the situation with professionalism and tact. I am very pleased with the results! There is justice in the world. Most brilliant people I have come across in my whole life. They have cared about me just like a family member will do. I believe even family member can not do what they have done for me. Excellent service and guidance. Highly recommended.